The latest survey of Pulse Asia on Filipinos’ senatorial preferences showed notable changes on the rankings of candidates from January to February 2019. The polling firm released the results on March 18, 2019 in which administration bets mostly took the top spots, particularly former presidential aide Bong Go and former Philippine National Police chief Bato dela Rosa, among others. Prior to that, Pulse Asia released the January 2019 results on February 15, 2019 that showed an administration-backed lineup on the “Magic 12” as well. 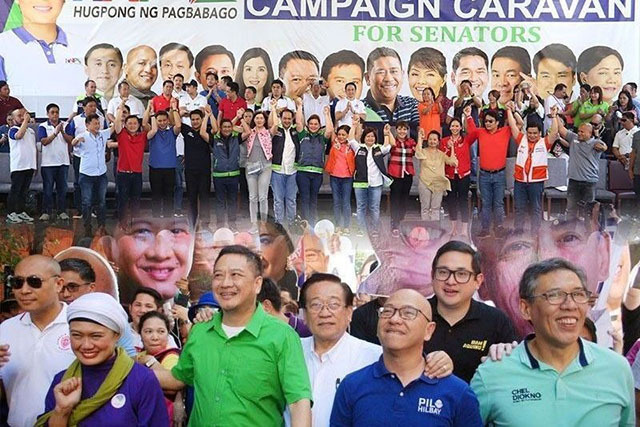 Former presidential aide Bong Go surged from the sixth to 12th bracket in January 2019 to the third to fifth bracket in February 2019 with an increased voter preference and awareness despite being a newcomer. Go has an awareness rating of 96 percent and a voter preference of 53 percent, a huge leap from his January ranking where he had a 91 percent awareness rating and a 45 percent voter preference. He has been attending various sorties and campaign rallies of The Partido Demokratiko Pilipino–Lakas ng Bayan and Hugpong ng Pagbabago, political parties spearheaded by the Dutertes. Meanwhile, former PNP chief Ronald “Bato” dela Rosa rose from the 11th to 16th bracket to the fifth to eighth bracket with a one percent increase in his awareness rating. His voter preference also increased from 37 percent to 45 percent. Dela Rosa also said that he was willing to endure “plastikan” or insincerity during the campaign period. 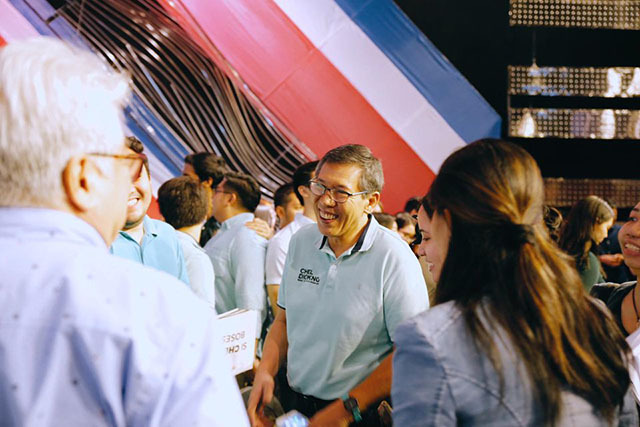 Human rights lawyer Chel Diokno emerged from the 24th to 31st bracket to the 22nd to 27th bracket with a dramatic increase on his awareness rating and voter preference. Diokno earned an awareness rating of 39 percent from his previous 23 percent. His voter preference also increased from five percent to seven percent as well. The opposition candidate earned attention for slamming Imee Marcos in a televised debate, as well as hitting the candidates of Hugpong ng Pagbabago for their lack of interest in holding debates. Former presidential adviser Francis Tolentino climbed from the 17th to 18th bracket to the 11th to 15th bracket with a significant increase in his awareness rating and voter preference. He earned an awareness rating of 87 percent from his previous 75 percent. His voter preference went from 21 percent to 32 percent as well. Tolentino gained attention for his incorrect remarks about senior citizens being in the workforce and for shifting his political alliance from the Liberal Party to PDP-Laban. Neri Colmenares, former Bayan Muna party-list representative, jumped from the 24th to 29th bracket to the 19th to 23rd bracket with a sharp increase in his awareness rating and voter preference. His awareness rating went from 51 percent to 62 percent and his voter preference from five percent to ten percent. Colmenares recently said that he is willing to work with Imee Marcos if both of them would win seats in the Senate despite being arrested and tortured under the Marcos regime. Samira Gutoc, the lone Muslim senatorial candidate, enjoyed an increase in her ranking from the 32nd to 48th bracket to the 26th to 34th bracket. Her awareness rating surged from five percent to 19 percent while her voter preference reached four percent from two percent. Gutoc recently remarked that PNP shouldn’t use the drug war as a means to arrest people whom they wanted to frame for their own advantage.